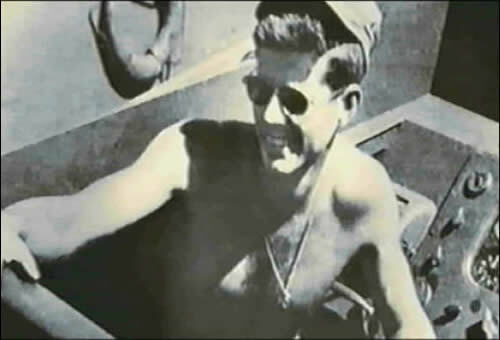 John F. Kennedy was awarded the Navy & Marine Corps Medal for bravery in World War 2 when the P.T. 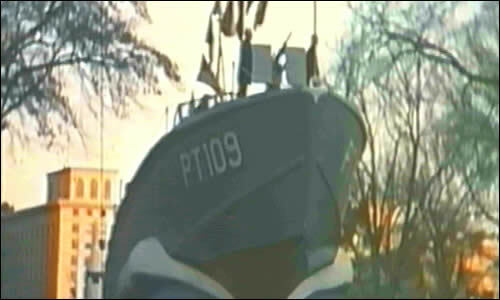 Boat he was commanding was sliced in two by a Japanese Destroyer and the crew where marooned on an island for 4 days. They were finally rescued when he wrote a message on a coconut and natives took it to a Naval Base on a nearby island.